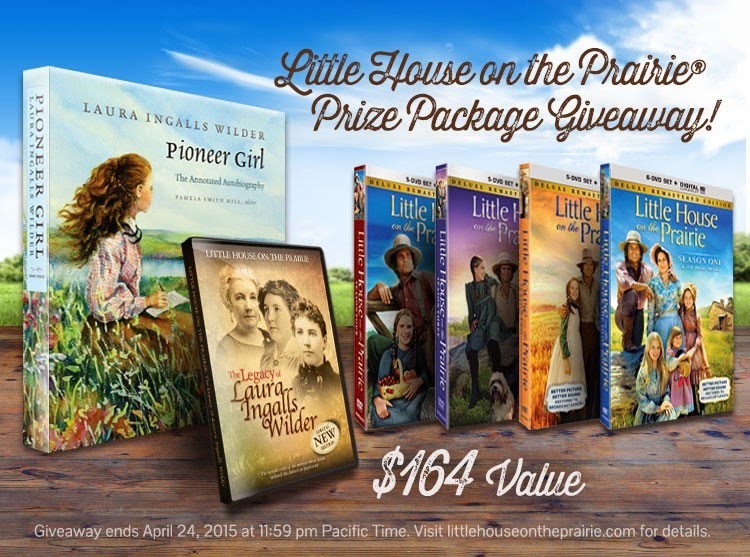 Little House on the 100 Farm: Little House on the Prairie Giveaway! Little House on the Prairie Giveaway! I am so excited to be able to offer my readers this chance to win such a great package! It includes the first four seasons of the TV series, the best selling Pioneer Girl autobiography, and the recently released documentary about Laura Ingalls Wilder. Obviously, as you can tell by the name of my blog, we are huge Little House on the Prairie fans. If you have not taken the chance to introduce your children to these classic books and television show, I highly recommend that you do. My husband and I love to watch them along with our son. They teach hard work, good morals, and lessons on living a simple life. You can also head over to their website @Little House on the Prairie Fan Package Giveaway for a second chance to win this prize package!